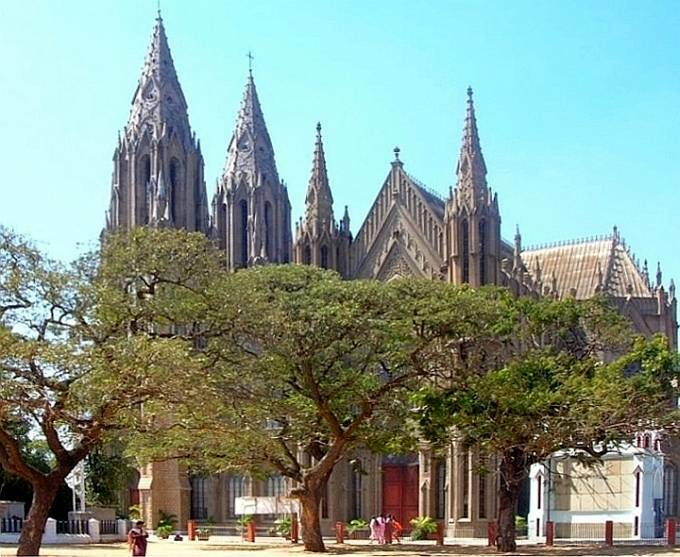 St Philomena's Church, the largest church in South India, was clearly inspired by Cologne Cathedral; but who actually designed it? Afried Raman's guide, details of which are given below, simply attributes it to the Bishop of Mysore, the Rev. Rene Feuga (in other sources "Feuge"). Elsewhere "the French architect Daly" is cited ("St Philomena's Church"). Could this have been a relative of the famous César-Denis Daly (1811-93)? What is certain is that this soaring neo-Gothic structure is unexpected in this context. "In a city whose chief charm lies in its buildings which are often eclectic in their mixture of styles the St Philomena's Church stands out sharply in contrast" (Raman 78) — Jacqueline Banerjee. Raman, Afried (compiler). Bangalore; Mysore. Hyderabad: Orient Longman, 1994. 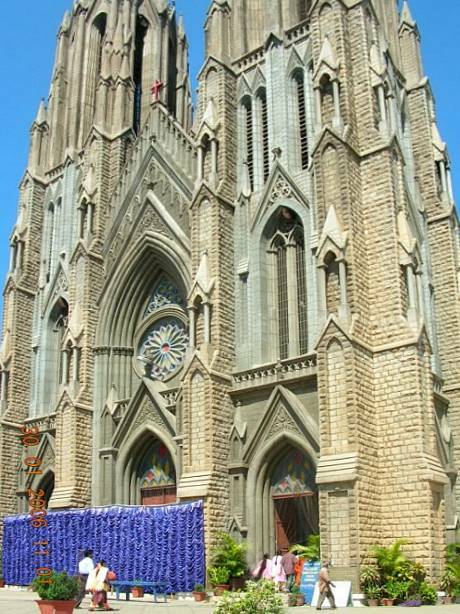 "St Philomena's Church" (A "Maps of India" site). Web. Viewed 20 August 2010.